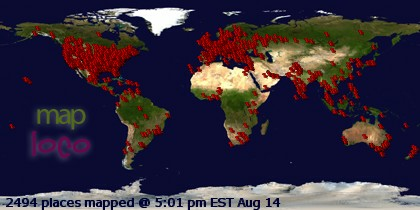 Now here is an interesting find for your consideration. There is a coffee out there called "Black Insomnia" and it is supposed to be the strongest coffee in the world. Maybe you would like to try some. 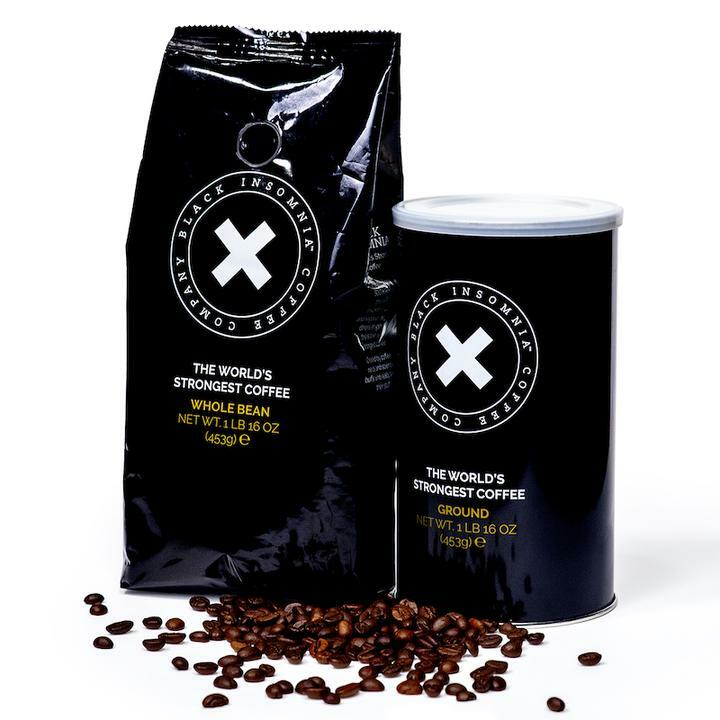 Black Insomnia is the world’s strongest coffee. Doctors discourage consuming more than 400mg of caffeine in a day, which is equal to about 4 cups of regular coffee, 10 cans of soda, or 2 ‘energy shot’ drinks- but drinking a cup of Black Insomnia would give you almost double that amount, because just one 12oz serving has 702mg of caffeine. Now while I do like some strong coffee, I think I'll stick to Folgers. I have a feeling this brand might be just a tad too much for me, know what I mean? Coffee out on the patio again this morning! Those of us in our "Golden Years" have a thing about memories. At least, I do. Yet when I recall something with my sister, or another person that was present, we seem to have a slightly different memory of what actually took place. Finally, thanks to this article I found, I might know why. Memories are like playing a game of ‘Telephone.’ Every time you recall an event, your brain distorts it a little more. So, while you may think you have a memory of something that’s happened, you’re actually just remembering the last time you remembered it. You can read more about this right here. Makes sense to me...kinda. Coffee out on the patio once again. What would the week be without some good old fashioned creepy story to make a fun day of it? From Listverse, here is an article that I reckon fills the creepy bill pretty well. 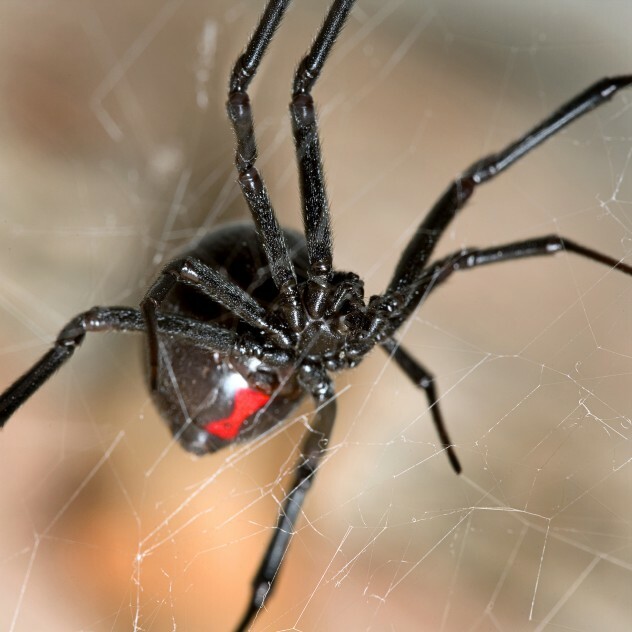 Spiders are creepy enough by themselves but throw snakes into the mix, and you’ve got the perfect recipe for a heart attack. If you’re one of those unlucky people who suffer from both arachnophobia and ophidiophobia, you might want to skip this entry for the good of your health. But that wasn’t an option for poor Tania Robertson when she went to work one fateful Tuesday morning in 2004. Tania was just your average receptionist, working at an electrical firm in Bloemfontein, South Africa, and as she parked her car in the company lot that day, she was totally unaware of the Lovecraftian horror awaiting her inside. As Tania rounded her desk, she came face-to-face with a scene straight out of David Attenborough’s worst nightmares. There was a five-inch Aurora house snake in the corner of her office, hanging limply from the web of a brown button spider. The brown button spider shares an striking resemblance to the black widow (pictured above), and while its bite doesn’t pack quite the same punch, it has enough venom to kill a snake, along with the appetite to eat one. While Tania spent all day Tuesday trying to find someone brave enough to take on Shelob, the spider kept an eye (eyes?) on its kill. As Wednesday rolled around—and Tania still hadn’t found someone willing to risk becoming dessert, the spider got down to business. It spun a web around the snake and began dragging it farther off the ground, all the while pigging out on its legless prey. Fortunately for Tania, she eventually found an arachnologist willing to capture the spider and dispose of the serpent. Hopefully, he also figured out how the snake got in there in the first place. Now that would be enough of a reason to turn around and go back home, I do believe. Coffee out on the patio again today. Did you know that Abe Lincoln was a wrestler and even in the wrestling Hall of Fame? He was and is...and here is a short account of that bit of history from Listverse. Abraham Lincoln is arguably one of the greatest American presidents, so it might be surprising to learn that he has been honored in the National Wrestling Hall of Fame. 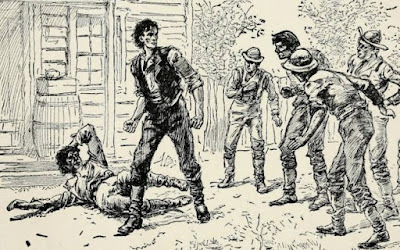 As he had rather long limbs, Lincoln was thought to be a good wrestler as a young man. In fact, he was only defeated once in 300 matches. Unsurprisingly, no one stood up to wrestle the future 16th president of the United States. Due to his wrestling talent, he was given the honor of an “Outstanding American” at the National Wrestling Hall of Fame. Lincoln also was one of the only presidents to hold a U.S. patent! Really...look it up. Most of us that have a car have had to replace the tires from time to time, I'm sure. Ever wonder just what becomes of the old tires? In some cases, they can become a real problem. Here from KnowledgeNuts is an article about the problem in some countries. Despite the fact that vehicle tires are quite resilient and can withstand years worth of wear and tear through multiple seasons of rain, sunshine, sleet, and snow, friction does eventually take its toll. In most countries, tires are shipped out to be recycled but in Kuwait, that’s not the case and is the primary reason why you can see a sea of tires from space in Sulabiya. The landfill houses over seven million tires, although not all of them originating from Kuwait itself as surrounding countries are allowed to pay a fee to have their own tire waste shipped to the landfill. As most of us know, landfills pose massive environmental risks as waste gets piled sky high and left to sit for hundreds or thousands of years. In a lot of cases, the waste that is being dumped cannot disintegrate into the earth’s soil as it is not biodegradable, meaning that the waste either never gets broken down or the chemicals that leak from the waste pollutes the environment. 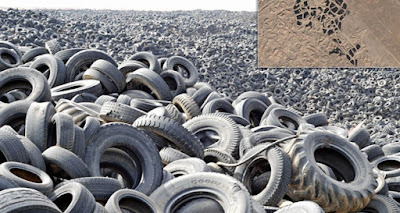 In the case of the Kuwait tire graveyard, if a fire were to break out, a lot of toxic chemicals would be released into the air. Back in 2013, this occurred, with millions of tires catching fire and burning for days. It took a joint effort between firefighters, soldiers, and the Kuwait Oil Company to put it out. In order to avoid the environmental disaster and the release of toxic chemicals both into the earth’s atmosphere and ground, shipping tires out to landfills is illegal in the majority of countries including the entirety of Europe. In 2006, Europe banned the disposal of tires in landfill sites, ensuring that over 480,000 tonnes of tires were shredded and recycled. With this ban in effect, more than eighty percent of the tires that are generated in Britain are processed and recycled through their Responsible Recycler Scheme, ensuring that the tires are reused in an environmentally friendly and acceptable way. Often, they will be used to create artificial sports pitches, carpet underlays, equestrian arenas, children’s playgrounds, and running tracks. In future, recycled tires are going to be turned into “crumbs” to be used to create road surfaces that are quieter than traditional asphalt roads. According to a test done on one of Scotland’s busiest roads, not only does the recycled rubber surface allow for better grip and skid resistance but it still allows for proper drainage and creates a quieter, more comfortable drive. As of right now, there are about 20,000 miles of road made out of recycled tires, with more countries like China, Brazil, Germany, and Spain taking on the idea and re-surfacing their busier roads, thus cutting traffic noise by about twenty-five percent. As more and more environmental hazards are becoming apparent from the dumping of tires in landfills, more countries and governments are committing to banning the process. If you are interested in learning more about the Sulabiya, Kuwait tire graveyard, simply search up the name and you’ll be able to see those who have visited and journeyed across this massive landfill on foot. Be wary though, it is a desolate experience. This is one more example of how we are destroying our own environment, and I have absolutely no idea on how to prevent it. To be completely honest, until I read this article, I had no idea the problem even existed. Out of sight, out of mind...I guess. Guilty as charged, I'm afraid. Coffee out on the patio again this morning, OK? Far too often it seems that people just disappear without a trace. In this case from Listverse, it seems that this case was different than most because of the history surrounding the man himself, James W. Boyd. 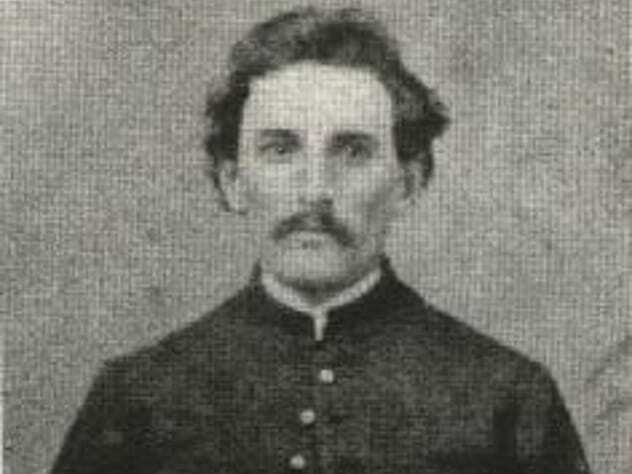 In 1865, Captain James William Boyd, an officer of the Confederacy, was released after having been captured by the Union. He was due to meet his son and travel to Mexico when he vanished without trace. Boyd’s disappearance is the subject of a conspiracy theory that he was killed after being mistaken for John Wilkes Booth, the assassin of President Abraham Lincoln. Boyd was said to somewhat resemble Booth and shared the same initials, none of which seems to be hard evidence, and the theory has been proposed, discounted, ridiculed, and fictionalized by a whole host of historians and writers, most of whom relegate Captain Boyd to a subplot in someone else’s drama. What is known is that Boyd was held as a prisoner of war by the Union until February 1865, when he was released so that he could return home to take care of his seven children, his wife having died while he was incarcerated. His son is said to have received a letter telling him to meet Boyd in Brownsville, Texas, but Boyd never showed up for the rendezvous, and no further word was ever received from him. No matter what the reason, Boyd seems to have made good on the disappearing act. I'm fairly certain that the truth of his disappearance will never be known to us. Coffee out on the sunny patio this morning. Did ya miss me? I won't be posting anything for the next few days, as I'm taking a small break from blogging. I'll be back on Monday the 15th. I hope you'll join me then. Billy The Kid On Western Wednesday...! How About The Rainbow Tree...! What A Way To Wake Up...! What Would We Do Without It...? A Scary Health Fact For Ya...! What The Heck Is This...?